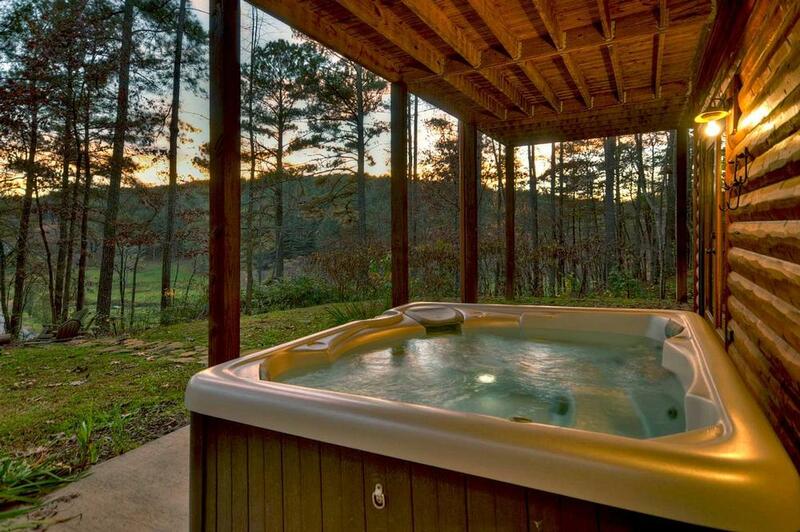 Campfire Cabin is perfect for all vacationers wanting a getaway filled with ease and peacefulness. 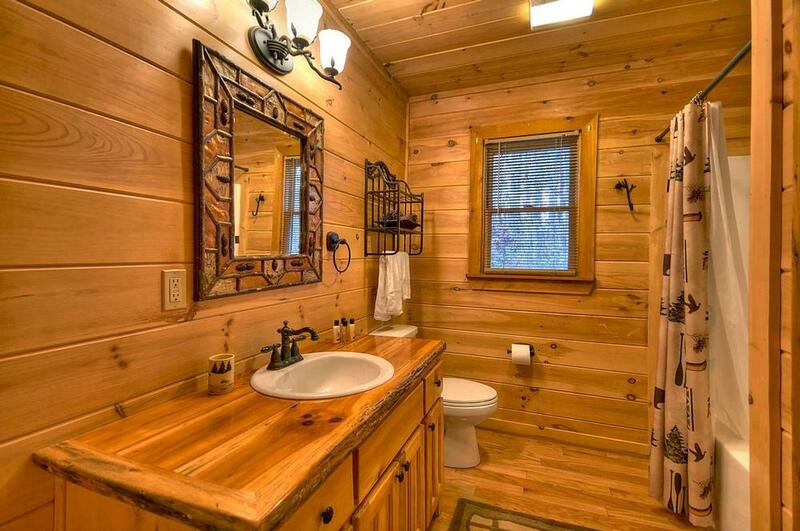 This cabin is tucked away in a private setting of smooth and laid-back rides on the best paved roads the North Georgia Mountains have to offer. 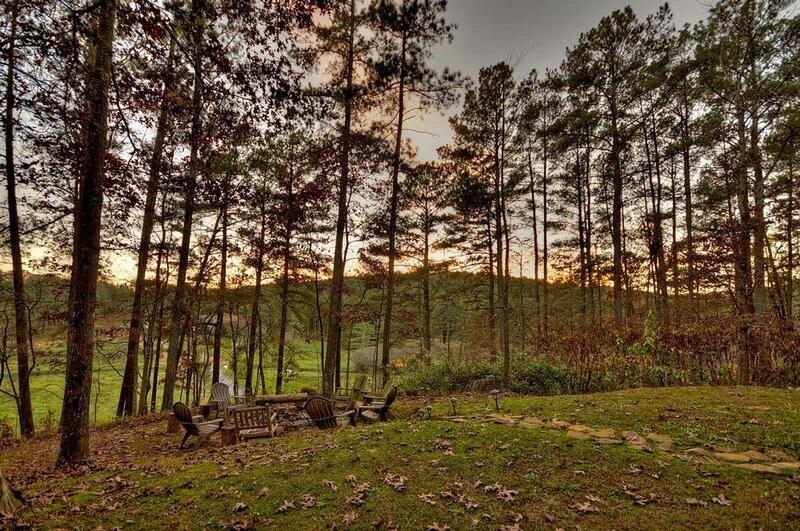 Feel the freedom of the gorgeous and scenic winding roads that run along a creek bed. 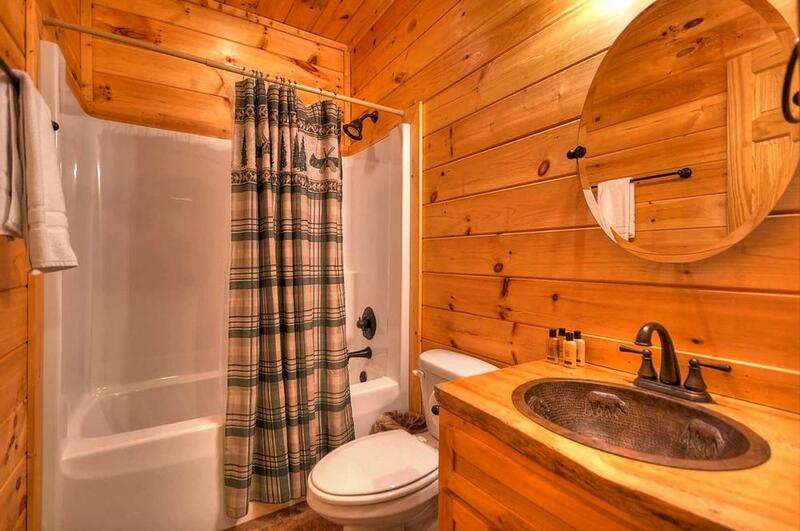 Keep pace with its peaceful ripples that lead you right to Campfire Cabin. 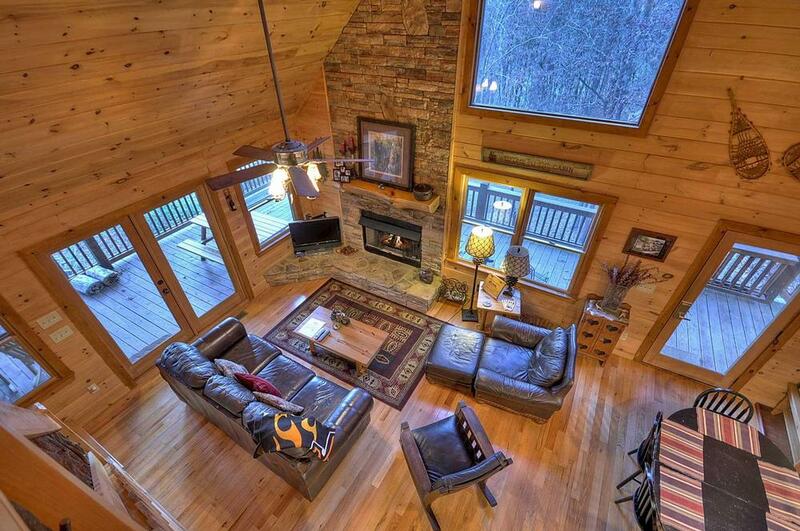 Entering the home, on the main level, Campfire Cabin offers an open concept living space which features plush rich leather furnishings with a touch of rustic cabin decor perfect for lounging with loved ones. 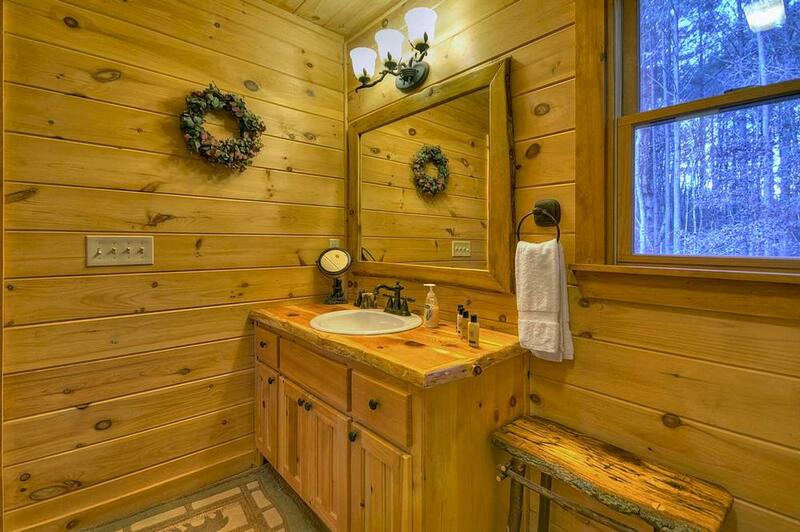 The light pine interior compliments the soft illumination from outside. 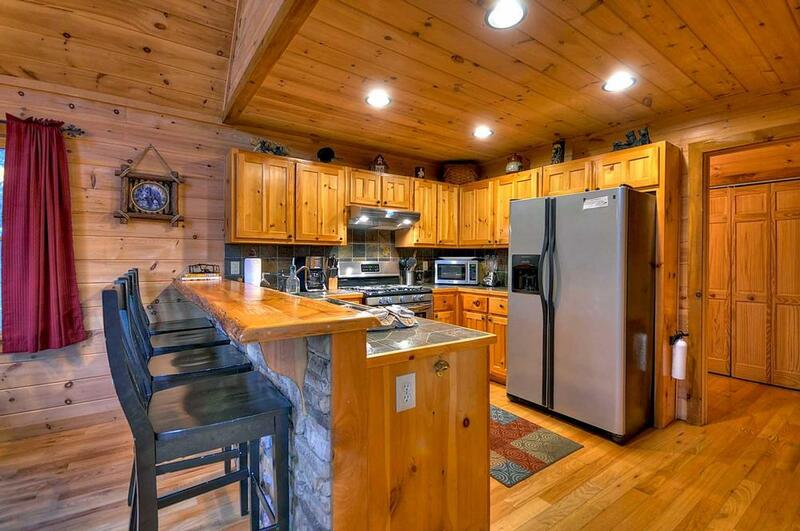 For the chef-at-heart, the fully stocked kitchen is sure to please. 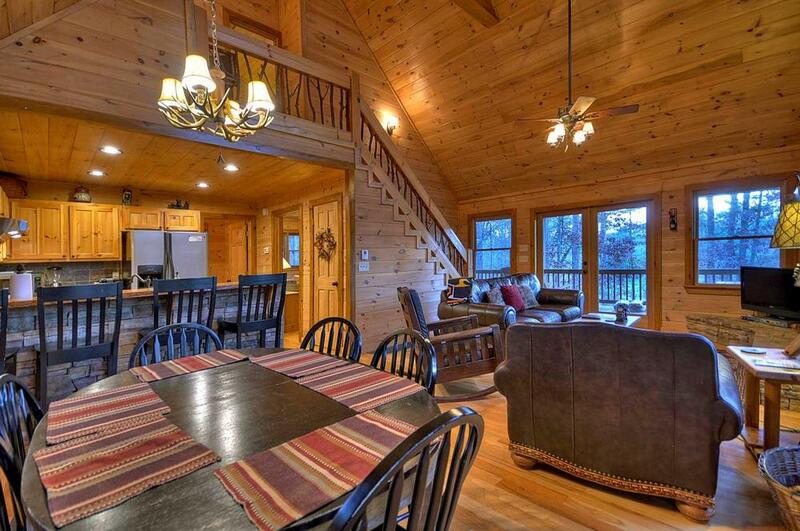 With seating for six at the dining room table and seating for four at the rock breakfast bar there is plenty of space for everyone to be comfortable. 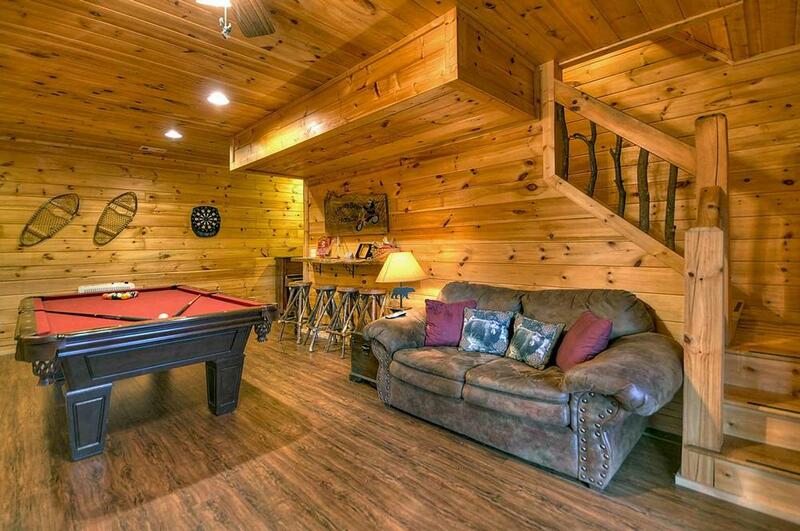 As you enter the lower level of Campfire Cabin you will find a fun, extensive game room filled with a billiards, ping pong table, electronic darts and board games. 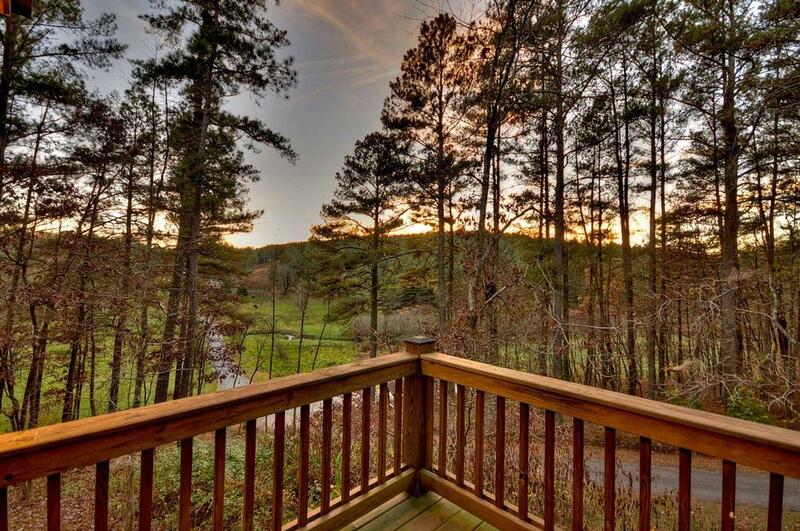 With three levels to choose from you can spend some alone time on the upper level enjoying the view and relaxing on the private balcony located just outside the master suite with 2 cozy porch swings. While on the main level balcony you will find many wonderful spots to enjoy the sounds of nature or socialize with friends over a cold beverage and a cozy hanging day bed that invites a mellow afternoon siesta. 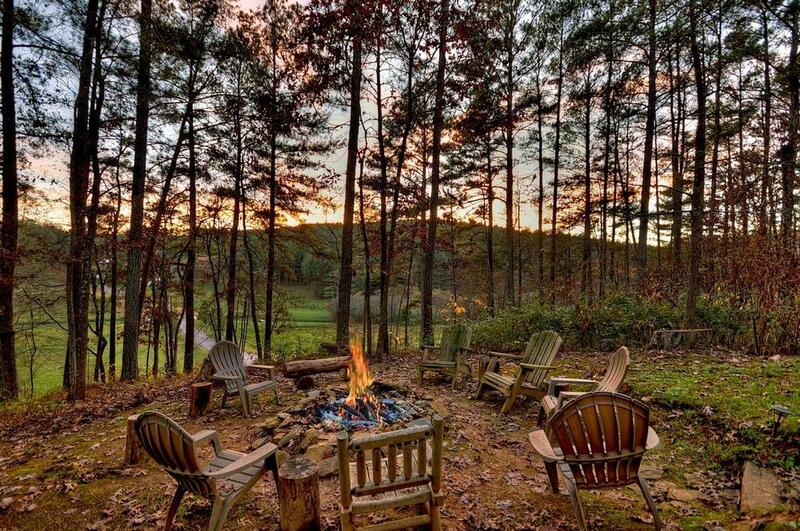 Step outside the game room, onto the lower deck and enjoy the six person Coleman hot tub or the rustic campfire area for late night marshmallow roasts, stories and songs under the stars. Bring your guitar and enjoy a song book created with your family in mind. 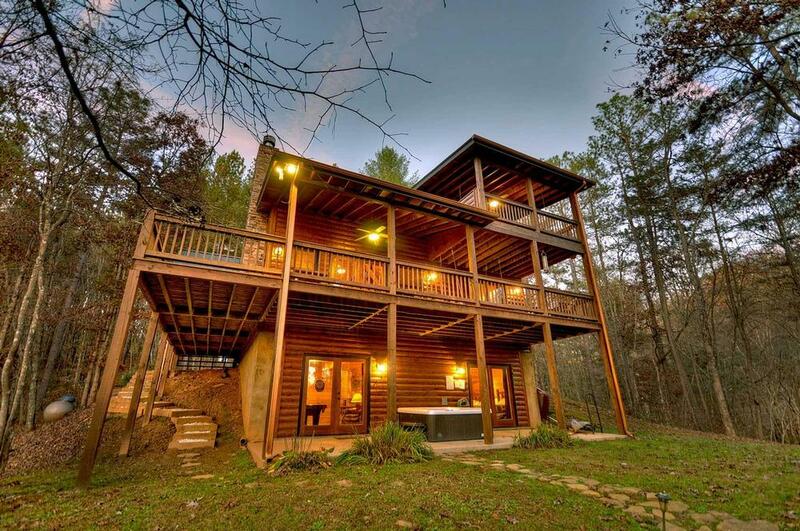 For sleeping quarters Campfire Cabin offers three bedrooms and three bathrooms, each on its own floor. 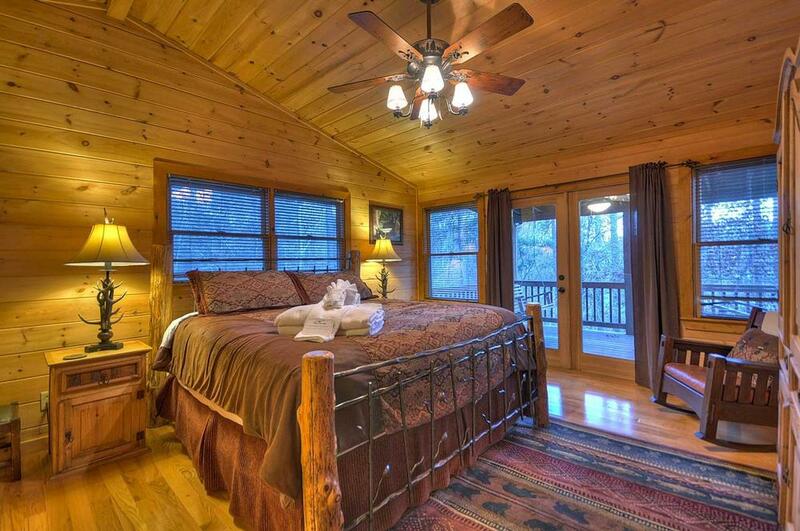 On the upper level, the master bedroom is inviting with it's rustic decor and plush king size bed. 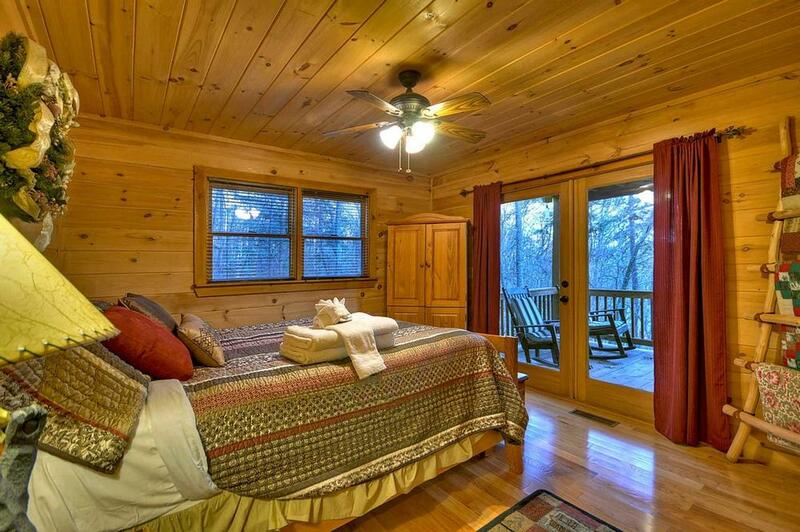 On the main level, you will find a cozy queen sized bed with a view. 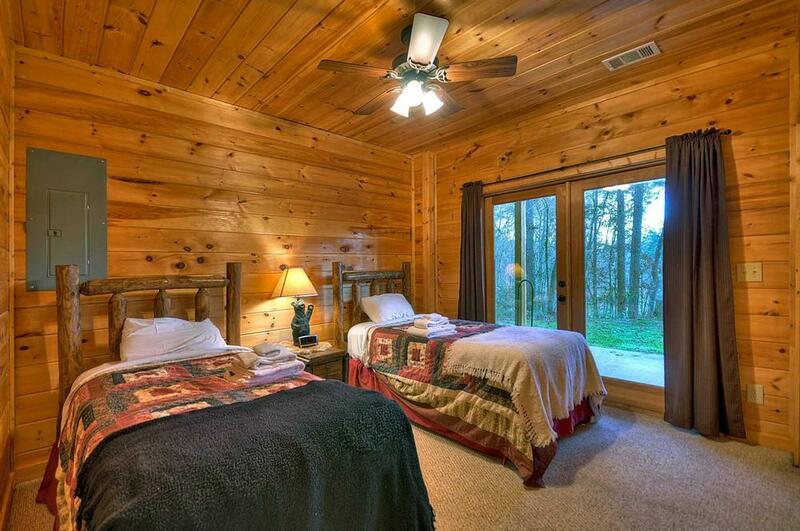 And, two twin log beds are located on the lower level. 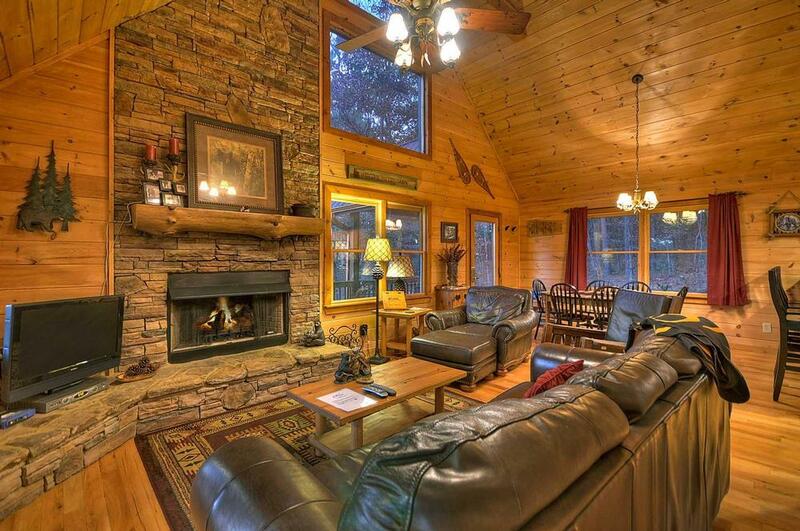 Campfire Cabin will meet your expectations on every level and will not disappoint. 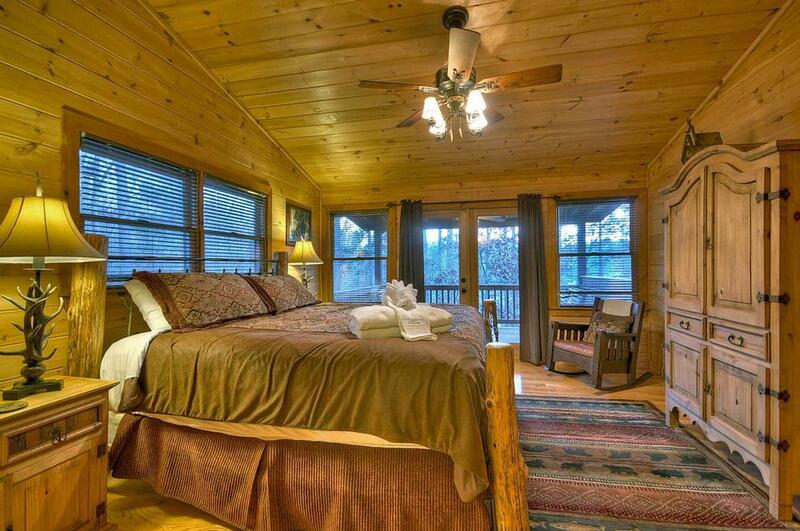 From the location to the amenities, you will enjoy every minute of your stay. 03/19 - Enjoyed the scenery and the peacefulness surrounding us. Enjoyed the welcoming feeling I got when I set foot inside the cabin. Friendly and courteous staff. 02/19 - Very cozy with plenty of room. Very sweet staff. 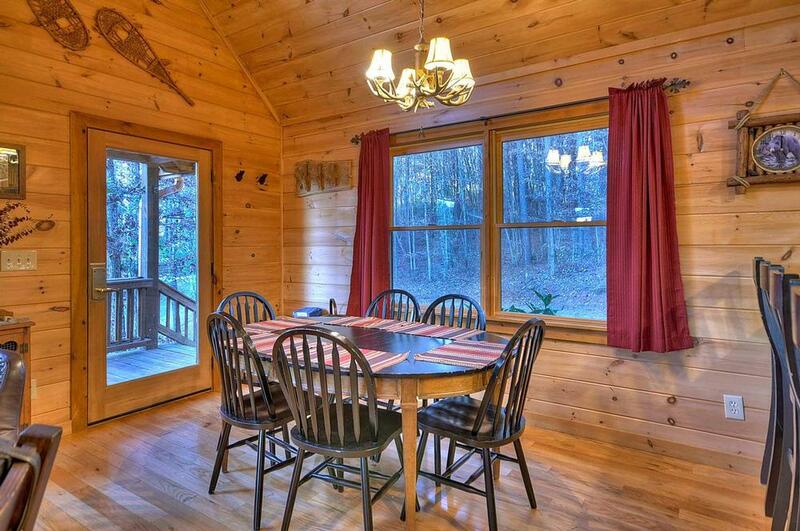 11/18 - The cabin was great! Great experience! 11/18 - Great location, super clean, nice decor. 10/18 - I was incredibly impressed with the cleanliness, the amenities, it was a home away from home! The atmosphere was very welcoming. I felt very secure and was able to relax as anticipated. My overall impression of the company ...very friendly, very cordial, very inviting and I had a great experience and I appreciate the hospitality. I would definitely reserve again. Thank you!! 10/18 - Loved everything. Fantastic company! 09/18 - We loved everything. Great company! 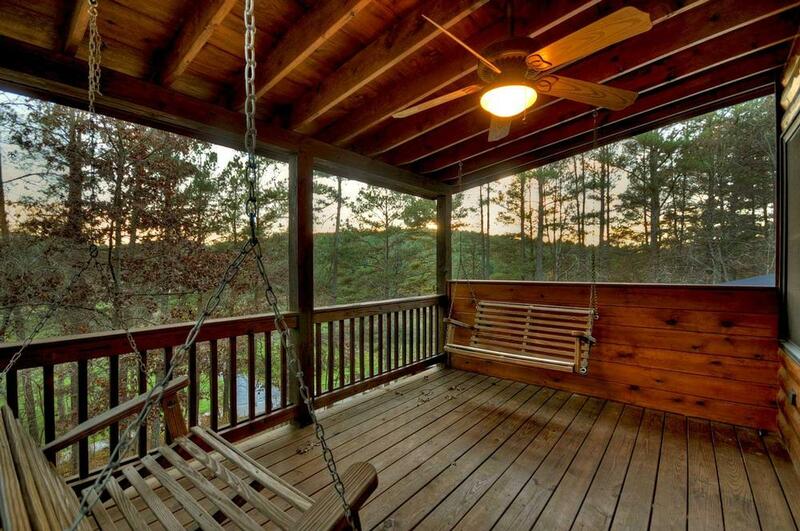 09/18 - Enjoyed the porches and swing/rockers. Very professional company. 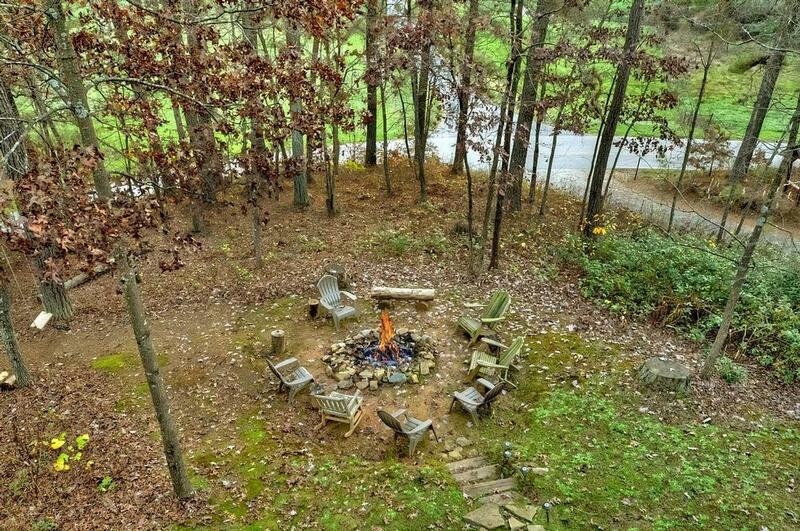 08/18 - Great fire pit sitting area with nice walk to it off back. 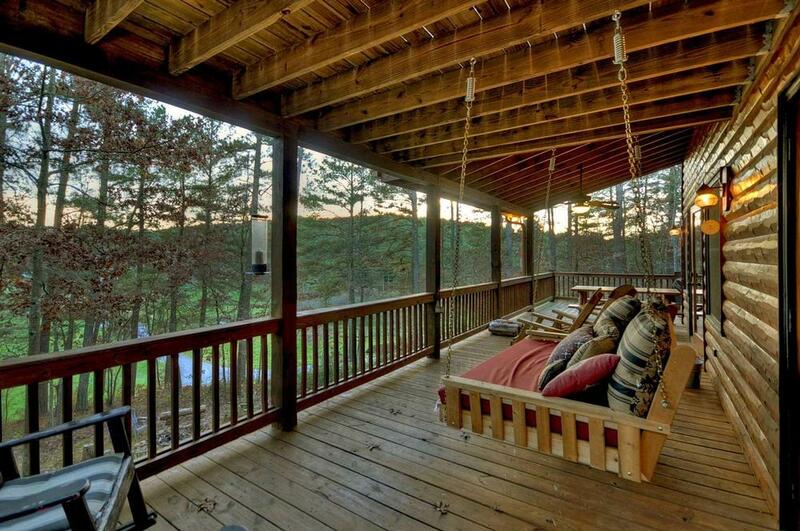 Comfy couch swing on main deck and bench swings off master private deck. We have always had a good experience with renting from you all. 08/18 - We enjoyed the kitchen. We also enjoyed relaxing on the porch swings. Loved the black bear motif. The company was professional and friendly to work with. 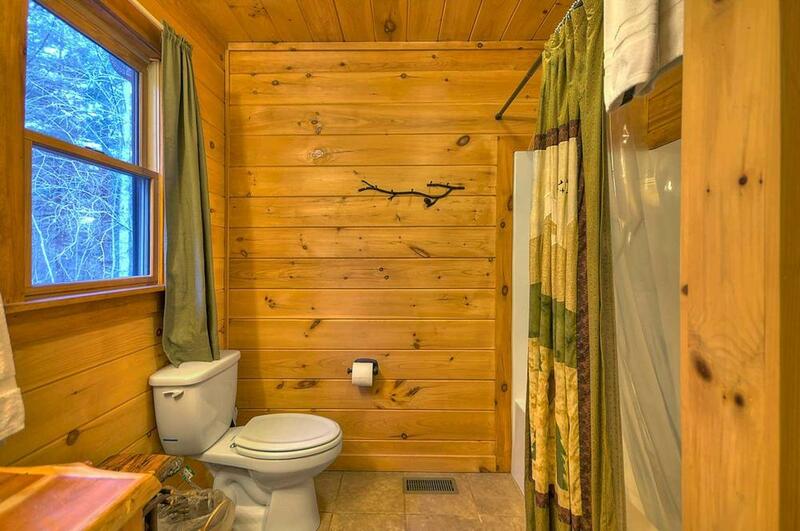 Booking the cabin was so easy. They communicated with us throughout the entire vacation in a timely manner. 06/18 - My family really enjoyed our stay at Campfire Cabin. Everything was beautiful, clean and convenient. We could not have asked for anything else. The company was very professional and followed through every step of the way. 06/18 - Our cabin was Amazing! 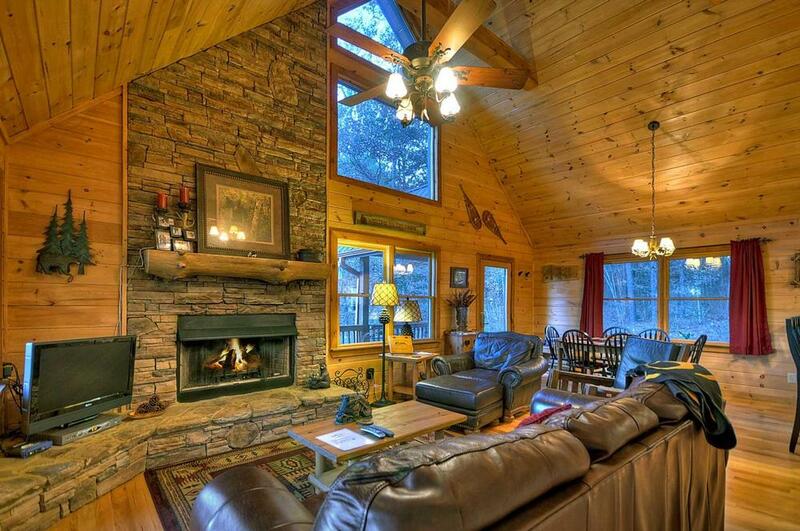 It was beautiful, clean, cozy, spacious and had everything we needed. 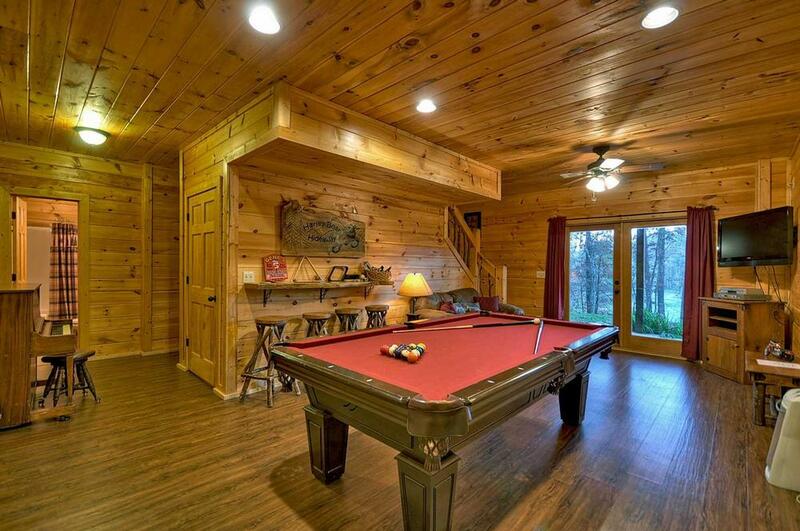 The kids loved the game room. The beds were very comfortable. The staff was very friendly and helpful. 05/18 - We really enjoyed the swing on the deck as well the one in the tree! 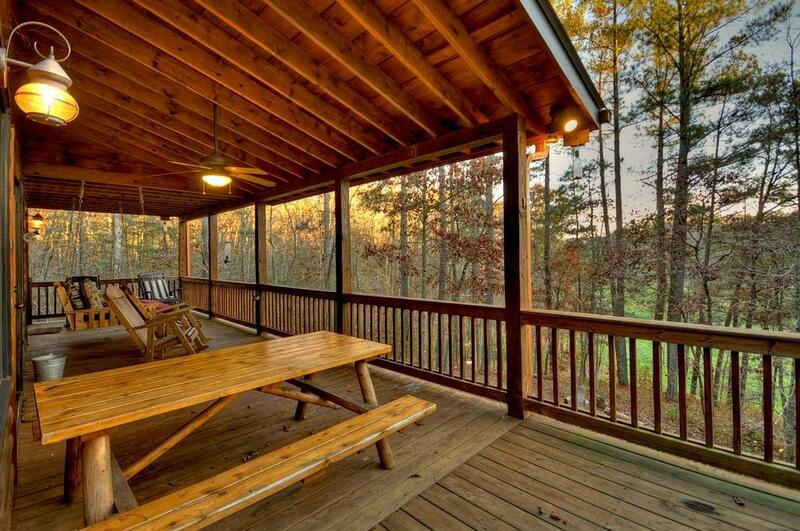 We loved having the table on the deck to play games on. Great company. 06/18 - I really enjoyed the fire pit and game room. 2/18 - It was so cozy. We loved the space, there was plenty of room for 5 of us. The decor and furniture were very nice and in great condition. We loved the home and plan to come back in the summer. 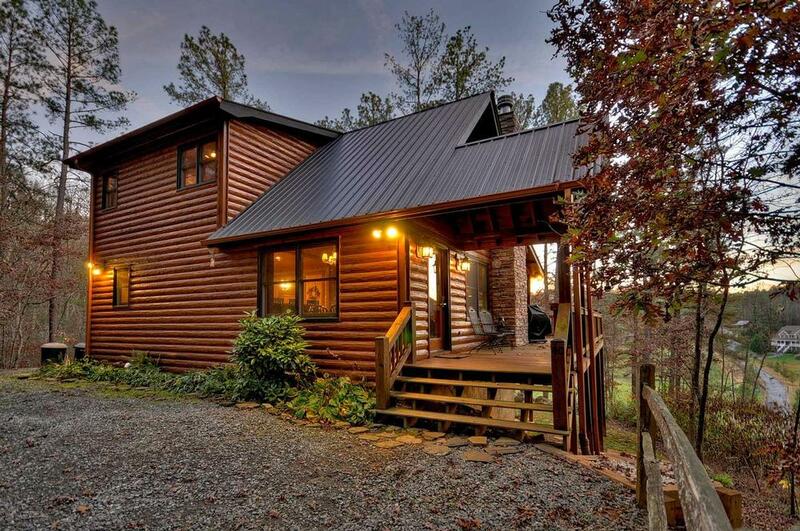 Escape to Blue Ridge is a great company, very friendly, great customer service. The booking process and leading up to our travel dates were smooth. Great communication via email.